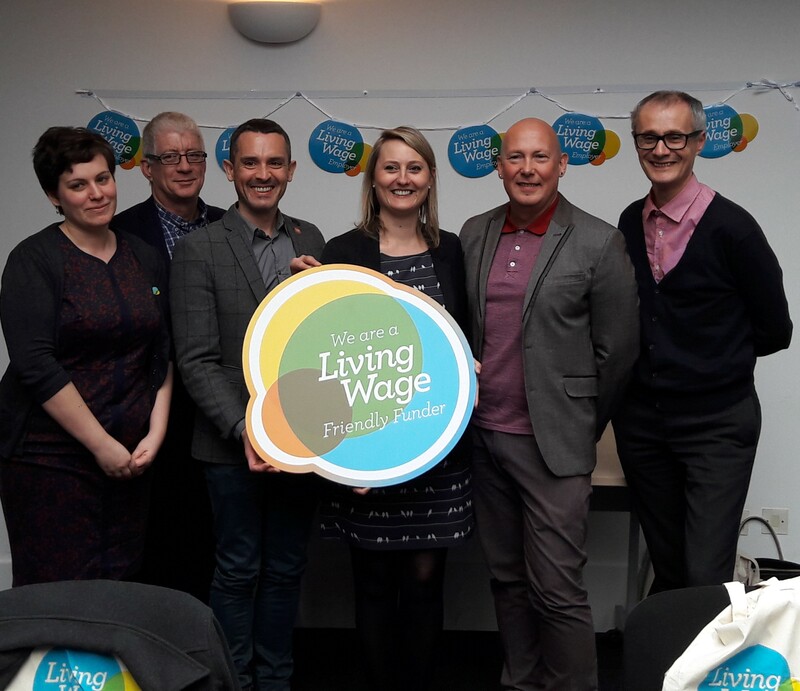 John is the Chair of the Living Wage Friendly Funder Committee. In his day job, he is Chief Executive of People’s Health Trust, an organisation which addresses the socio-economic causes of health inequalities. He is a member of the Advisory Board for NIHR’s School for Public Health Research. John was previously the Deputy Head of Programmes for Big Lottery Fund's £500m health programme, ran his own business for several years and headed up V's £100m corporate match fund programmes. As well as leading operations planning at both Big and the Care Quality Commission, John also worked in learning disability/mental health services, where he set up and ran a community resource centre. John is a big fan of photography. Kaya Comer Schwartz was elected as Councillor for Junction Ward in March 2013 and then re-elected in 2014. Kaya was the Council’s Equalities Champion and Chair of the Children’s’ Scrutiny Committee until her appointment to the Council’s Executive as Executive Member for Community Development in May 2016. Kaya previously worked in the charitable sector for organisations including Centre for Mental Health, Shelter, World Jewish Relief, The Women’s Library and Action for Southern Africa. In addition, she was a Local Authority Governor at Yerbury Primary School and a Trustee of Islington BME Rights charity called Every Voice. Kara is currently Chair of the Islington Community Chest. She sits on the Executive and Main London Council's Grants Committee, as well as the Archway Town Centre Group. As a councillor, Kaya regularly attends Tenants & Residents Association meetings and local policing meeting. Adam has been Finance & Projects Manager at the Community Foundation for Staffordshire, since returning to his hometown of Stafford in July 2017. The Community Foundation for Staffordshire is an independent charity, dedicated to strengthening local communities and tackling issues of disadvantage and exclusion. Prior to this, Adam ran the finances of the London Buddhist Centre for ten years, where he also taught yoga, meditation and chi gung. Adam previously ran an organic vegetarian health food store, after holding various financial management roles in central government, including twinning projects in pre-accession states in the EU. Angela is the COO of Youth Music, a national charity investing in music-making projects for children and young people experiencing challenging circumstances. Angela has a theatre arts background and has extensive experience working across the creative sector including: The Sorrell Foundation and Heart & Soul. Angela is a member of the Friendly Funder steering committee for Living Wage Foundation and has held directorships at Sing Up and Spare Tyre Theatre Company. Jack has spent the last 8 years working in the voluntary sector for organisations such as BBC Children in Need, Greenwich Action for Voluntary Service and is currently a Senior Grants Officer working for the City of London Corporation and City Bridge Trust. He is currently serving as Chair of Trustees for an innovative London based charity called Art Against Knives, who find creative solutions to tackle the root causes of knife crime and youth violence. Debbie is Head of Programmes at the Barrow Cadbury Trust, where she oversees its work on migration, criminal justice and financial exclusion as well leading a number of strategic projects. Immediately prior to joining the Trust Debbie was Head of London Region at the Big Lottery Fund and her prior work experience included 10 years of front-line and management roles in the NHS. Debbie is Chair of The Foundry, the award-winning human rights and social justice centre in Vauxhall and of Global Dialogue, an international human rights charity. She has a long-standing interest in gender equality, chairing the Corston Independent Funders’ Collaborative on women in the criminal justice system, and playing a lead role in the establishment of AGENDA – the Alliance for Women and Girls. Sandy MacDonald is Head of Sustainability at Standard Life plc. His remit incorporates all aspects of sustainability including strategy, community programmes, policy and reporting. He has over 15 years’ experience in senior marketing, communications, government relations and corporate social responsibility roles and a strong, active interest in social inclusion and campaigning for equal opportunities for people from all backgrounds. He’s also Deputy Chair of Children 1st, Scotland’s national children’s charity, and a member of the Scottish Living Wage Accreditation Project leadership group, the Edinburgh Advisory Board for Common Purpose, the Scottish Advisory Board for Tomorrow’s People charity, and the Scottish Veterans funding panel. Catherine is a Programme Manager at The London Community Foundation, which means she is responsible for developing and implementing funds, managing the application and assessment processes and reporting on the difference the funding has made to groups across the capital. She has previously worked for the Wolfson Foundation, where she focused on their Health & Disability and Science & Medicine programmes. Prior to this, Catherine worked on the small grants fund at Near Neighbours, a programme working in areas of high diversity and deprivation to bring people together across the divides of faith and ethnicity. Daniel has been Grants Manager for the Walcot Foundation since 2012. Before that, within the grant-making sphere, he worked for Church Urban Fund and Tearfund. Daniel also set up and ran a debt counselling centre in Wandsworth for seven years. He says “As a grant-maker, it is a massive privilege to be able to witness and support so many wonderful community projects and individuals”. Daniel is also trustee of Wandsworth Foodbank and a local youth employment project. Tessa White is the Head of Grants and Verification for Wales Council for Voluntary Action (WCVA), responsible for leading on WCVA’s funding management systems and the assessment and compliance functions for WCVA’s ‘Intermediate Body’ role as the distributor of European funding through schemes with a total value in excess of £35 million. Having worked for WCVA for 13 years, she has been responsible for managing a variety of its grant funds, including other European schemes such as the Engagement Gateway and Social Risk Fund and Welsh Government funds such the Communities First Trust Fund. Before joining WCVA in 2005, Tessa worked for the Artes Mundi Prize and for the Vale Centre for Voluntary Services, the County Voluntary Council for the Vale of Glamorgan, as its Assistant Director. Rowena is part of the grant-making team at Comic Relief, working in the UK and internationally to distribute funding in pursuit of “a just world free from poverty”. She is also a mentor through the Charityworks graduate scheme. Previously she has worked for the Jack Petchey Foundation, the Philharmonia Orchestra and as a TEFL teacher, both in India and England. She sings as part of a London-based chamber choir.